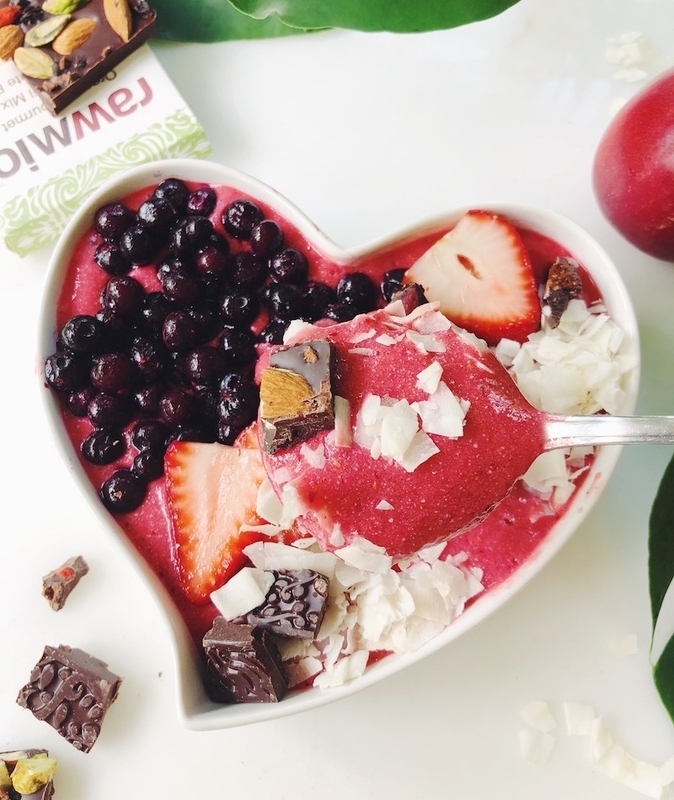 It's the 4th of July, and while fireworks are beautiful and all, they've got nothing on the explosion of bright, fruity flavors contained in this smoothie bowl. This really is the perfect summer blend: juicy nectarines, sweet-tart raspberries, and sweet and summery pineapple with a splash of cool, refreshing coconut water and plenty of whole coconut butter for all the tropical feels. This recipe is also rich with Vitamin C and bioflavonoids which help boost the skin's ability to protect itself while you're soaking up those warm summer rays. Serve it up in a Heart Bowl so you can tune into the frequency of self-love and feel nourished on every level. After all, everything tastes better when it's created and served with love, even more so when it's served in love. You know what else makes everything taste better? Chocolate. So go ahead and chop up your favorite Rawmio bark for a fun chocolatey garnish. It's a holiday after-all. Enjoy and happy summer! 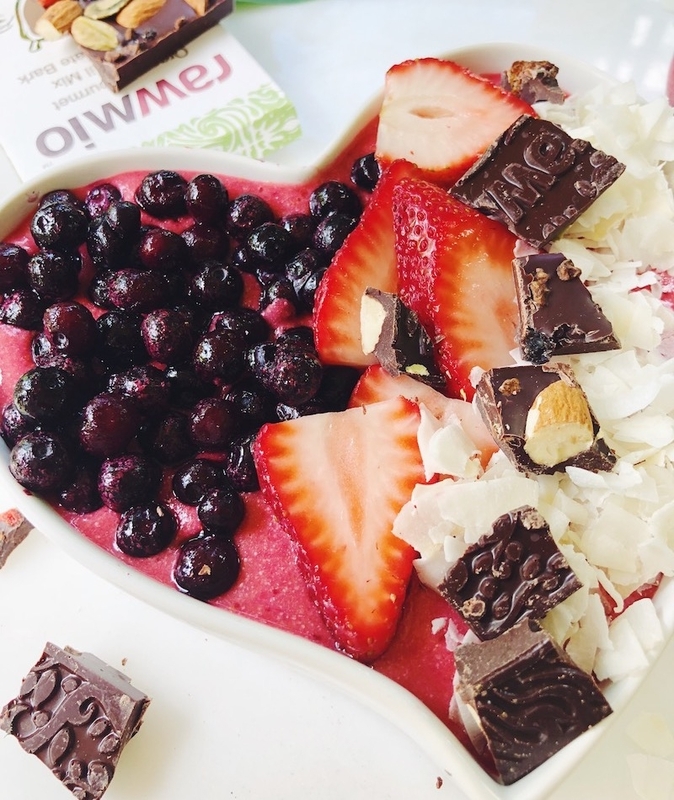 For a festive star-spangled garnish: fresh or frozen blueberries, fresh strawberries, coconut flakes, and of course Rawmio Chocolate. 1. Blend until smooth. 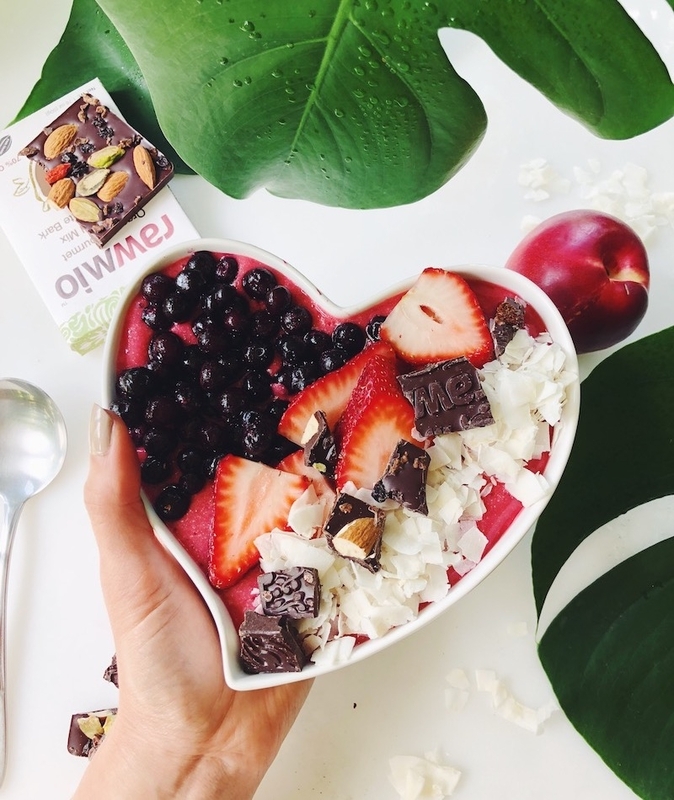 Pour into your favorite bowl (if you don't have a favorite bowl - you need the Heart Bowl in your life - order one here), garnish, and enjoy your taste of summer bliss.